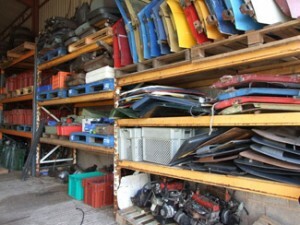 The largest stock of second hand and refurbished Reliant parts for Regal, Robin, Rialto, Lx ,Mk3 ,Ant, Kitten, Jimp, Rebel, Fox ,Tandy, Liege, Tempest and Vantique. Visiting the online shop will give you an idea of the vast range we carry. fresh stock coming in all the time so if you still cant see what you would like, then please give us a ring, or why not come down and see us! Complete cars bought and sold, 100+ here at last count , We provide car delivery.We can also help with international shipping and export as we have already shipped parts and complete vehicles to many parts of the world including Vietnam, Australia, and the USA! Parts and complete cars always wanted. We also remanufacture a range of performance exhausts, four into one, four into two into one, big bore standard bore, just the manifolds or can provide full systems. Rebel Racing inlet tuning modification supplied. We also have a range of upholstery including carpet sets, roof linings, door cards and seat covers. In addition to this we can recondition engines ,and gear boxes. We have supplied cars and parts for BBC , Channel 4, The RAF ,X Factor,Top Gear ,Pixar, Microsoft(didn't pay! ), weddings , prom nights. We’re based at Wood End Farm (Out 2 Grass Mountain Board Centre),on the Cradley to Bromyard rd, on the Worcester/Hereford border WR135JW, England. (Sat navs stop 300 yds short of driveway) We’re easy to find – take a look at the map and directions. there is a “Delboy van” at the end of the drive. local pubs, a great café around the corner (HR81HT look out for the tank), all in a forgotten bit of England. Tuesday till Saturday 10am – 6pm ish. Maybe out on a call out/breakdown/lunch/motorbike call first!